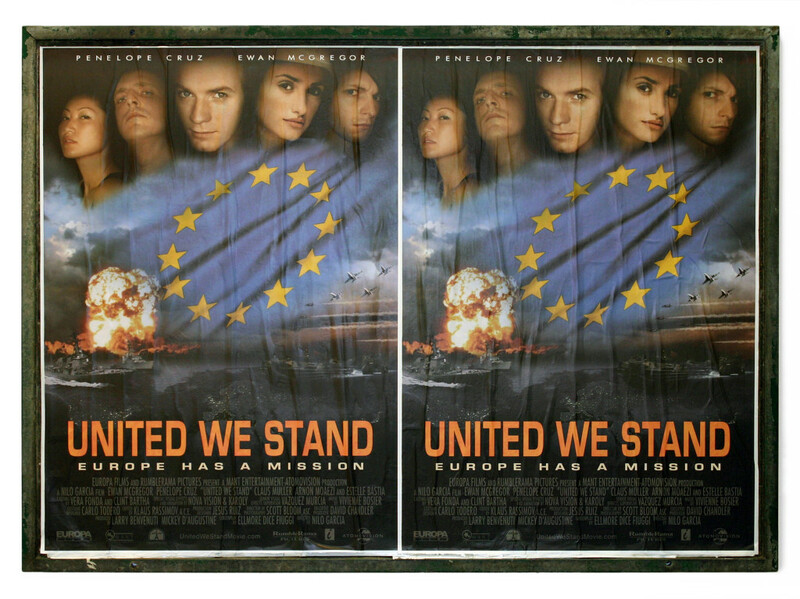 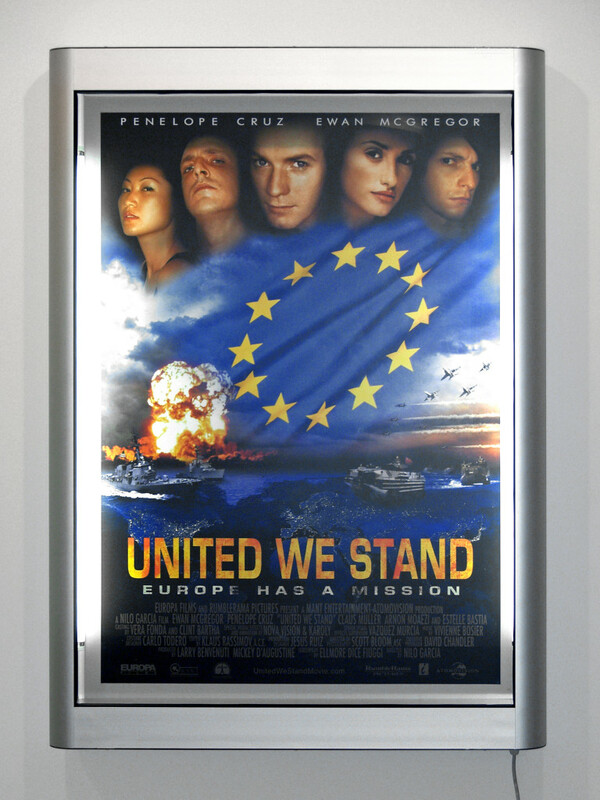 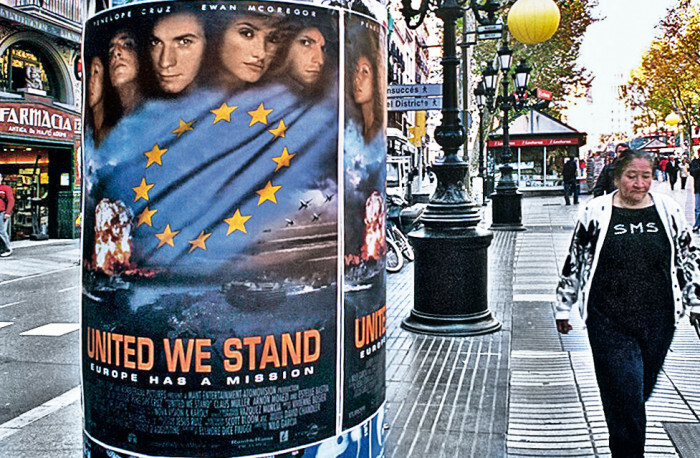 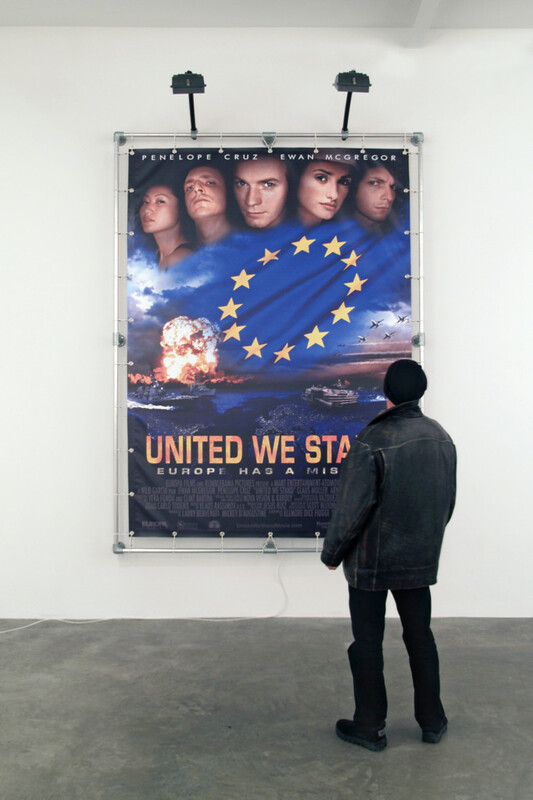 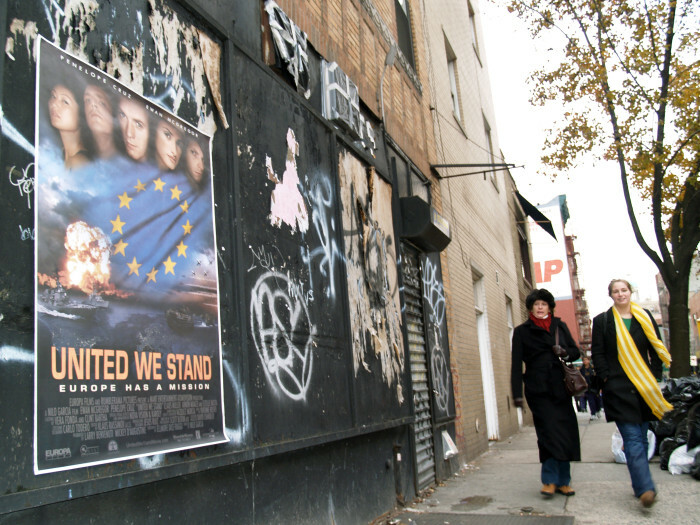 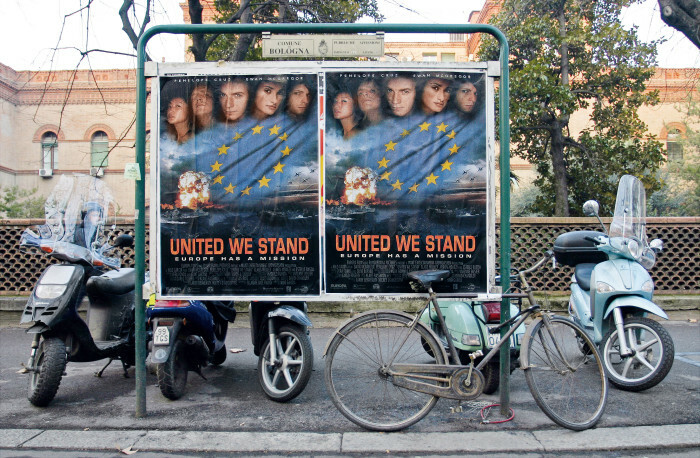 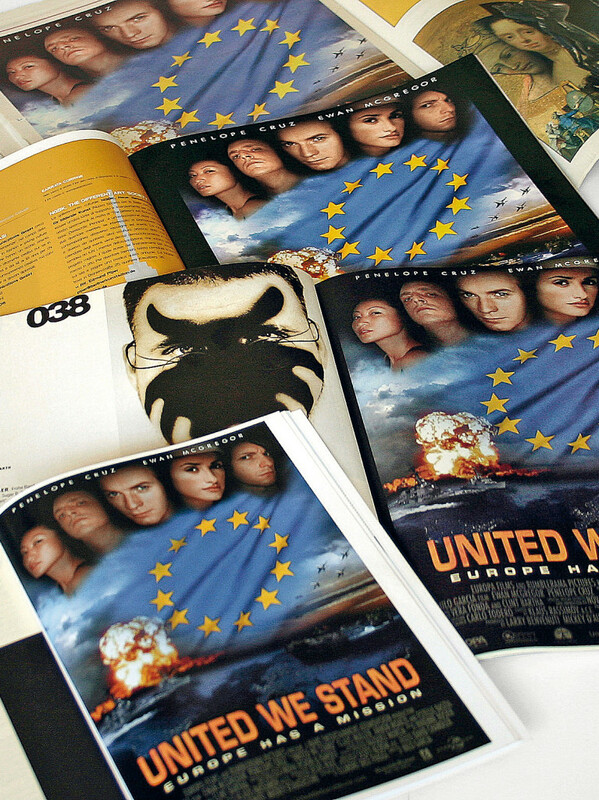 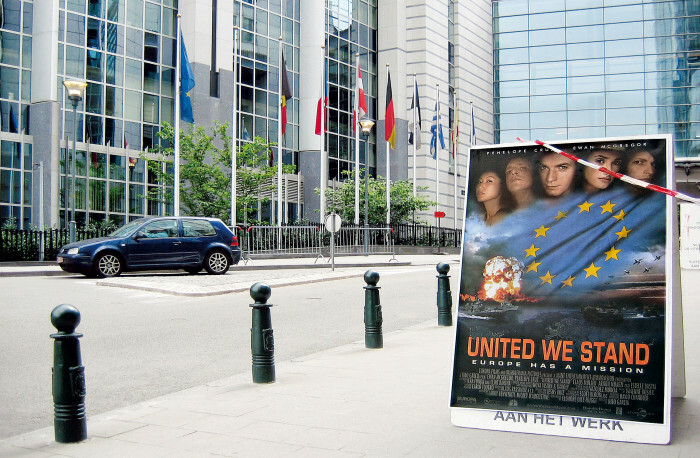 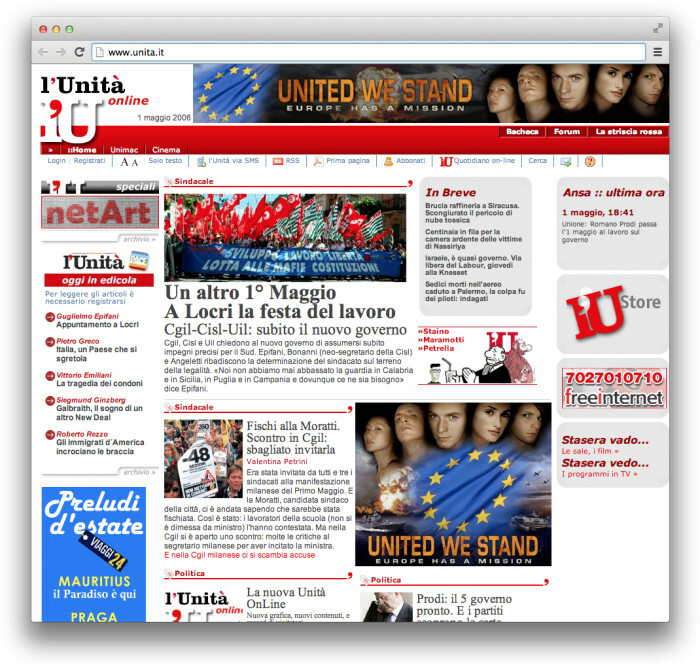 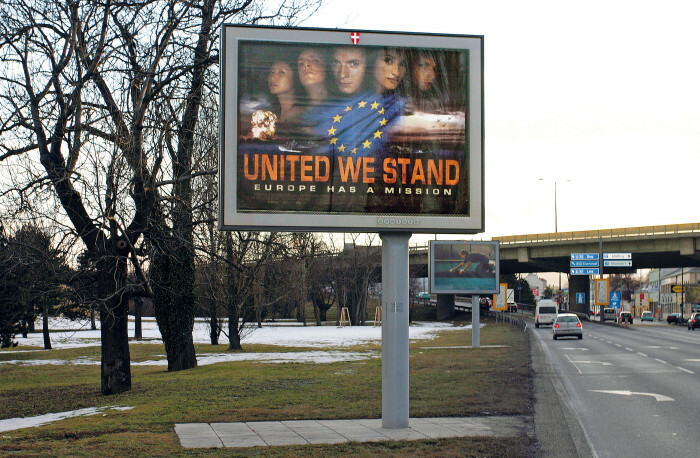 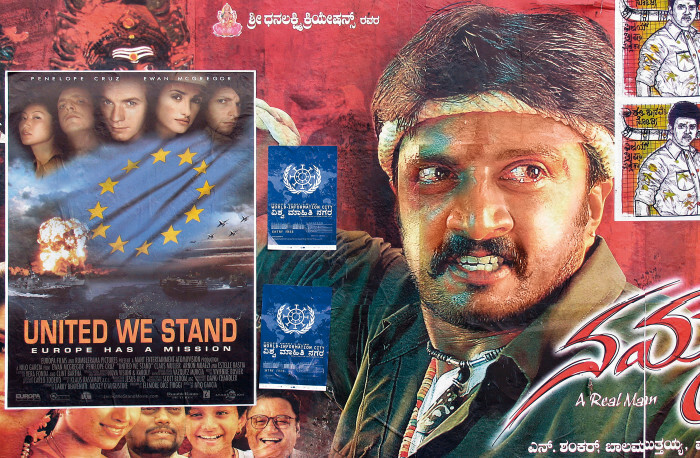 United We Stand is the title of a non-existent, European Hollywood-style blockbuster: “A brilliant mix of espionage and sci-fi political stereotypes in which Europe, not the USA, saves the world from impending doom”. 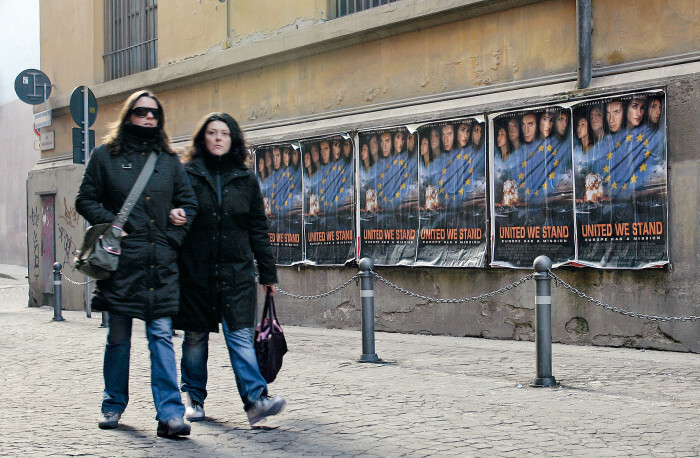 We wrote the story, together with Wu Ming, published a website, designed the poster and put it up in cities around the world, although the movie never existed. 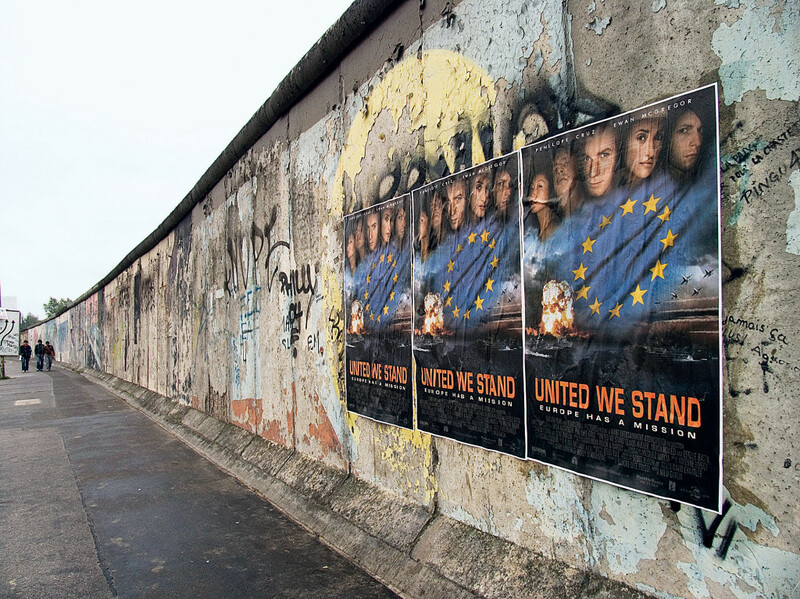 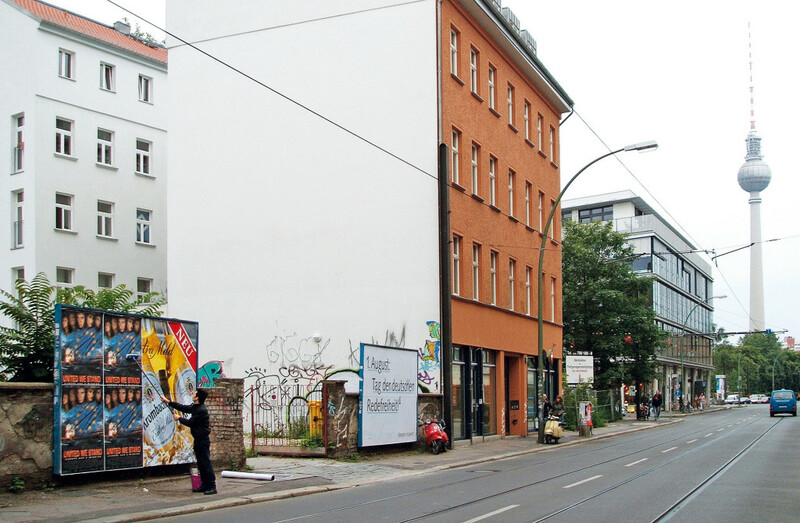 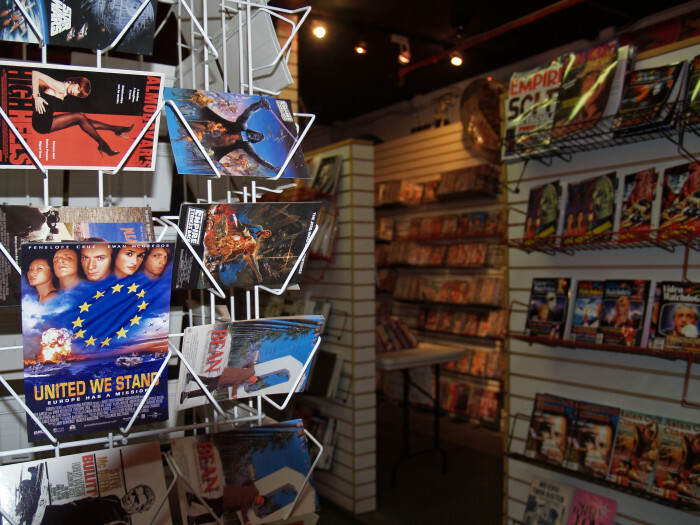 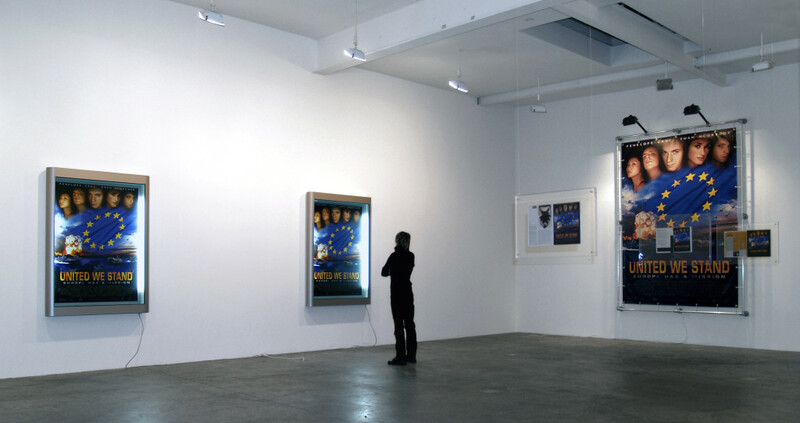 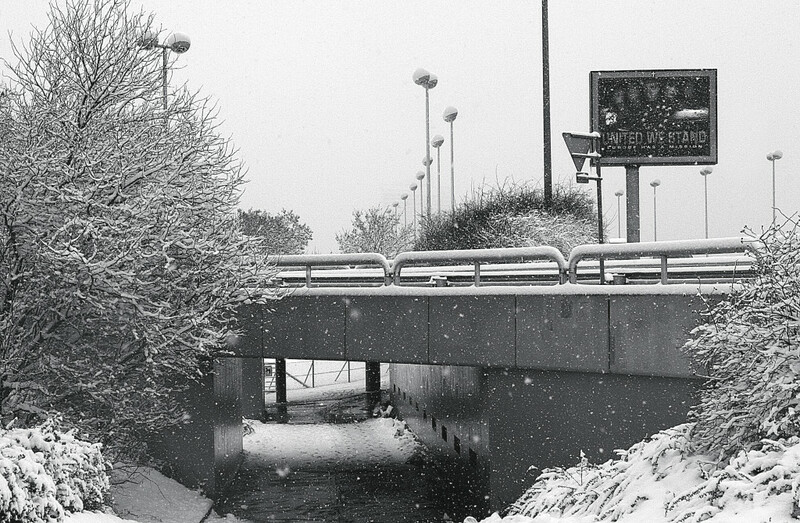 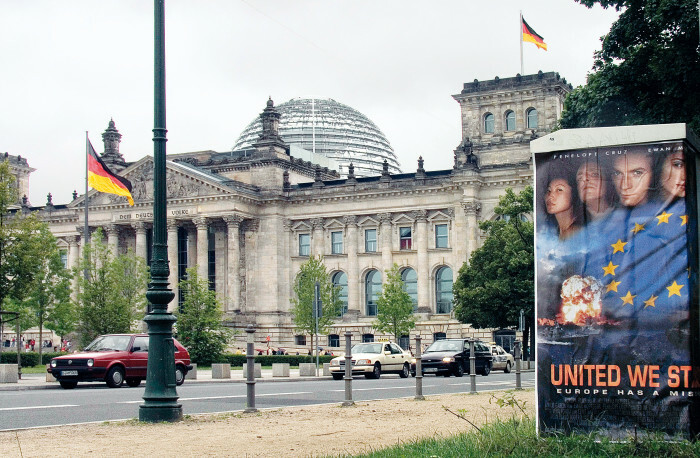 Posters in Berlin, Brussels, Barcelona, New York, Bangalore, Vienna, Bologna and Annemasse.